Hartsfield-Jackson Atlanta Intl. - Licenciado Gustavo Diaz Ordaz Intl. 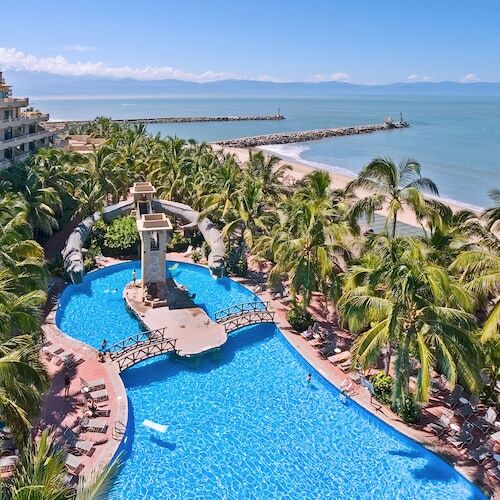 Picture a stroll along the Malecon boardwalk in Puerto Vallarta, taking in nature’s stress relief—palm trees and ocean breeze. Unique sculptures by local artists enhance the scenery and provide a bit of creative flair. The urban energy combined with the laid-back beach vibe makes it easy to see why this seaside enclave is a favorite holiday destination. 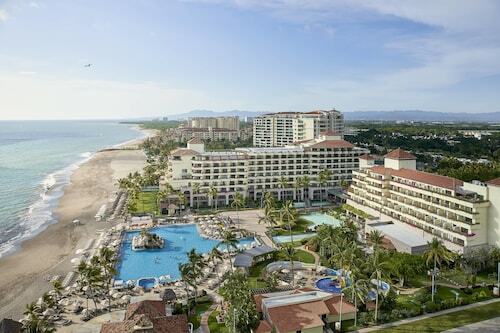 When you book a vacation package to Puerto Vallarta, you’ll soon understand its siren song. 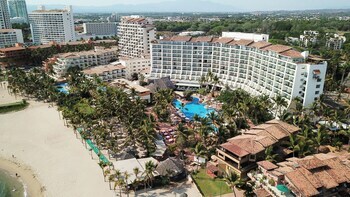 Puerto Vallarta vacation packages offer plenty of opportunity to lounge by your beach cabana, sipping on a piña colada. All-inclusive can be nice, but if you want to experience something different, the city offers tons of exceptional experiences. Every night in June through September, you can join in on a sea turtle release under the light of the moon and help thousands of hatchlings reach the waves. Looking for adventure? 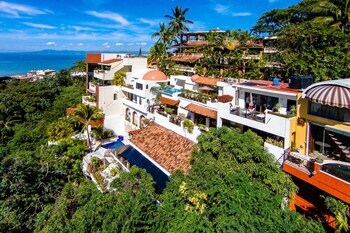 Rent a car in Puerto Vallarta and drive up into the mountains of San Sebastian, stopping for coffee and tequila along the way. 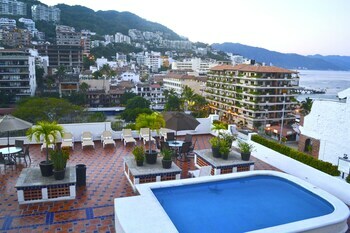 With Puerto Vallarta packages, everyone can enjoy the city’s vibrant nightlife and year-round events and festivals. In September, get rowdy with the locals and celebrate Mexico’s Independence Day with a traditional “grito.” Mariachi music, dancing, and partying lead up to the ringing of the bell and the “Cry of Dolores,” kicking off weeks of parades and festivities. In addition, gastronomy gurus will want to save room for the annual Festival Gourmet International in November, when star chefs from around the world descend on the city for a 10-day celebration of creative cocktails and cooking. 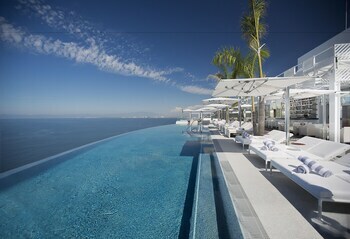 Get inspired when you search Travelocity’s great selection of cheap hotels and resorts in Puerto Vallarta. 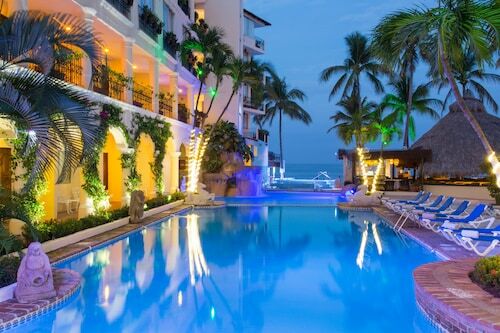 Finding a deal is garantizado when you bundle and save on hotel and airfare together with our Puerto Vallarta vacation packages. Book today! Need insider tips on must-see attractions in Puerto Vallarta? 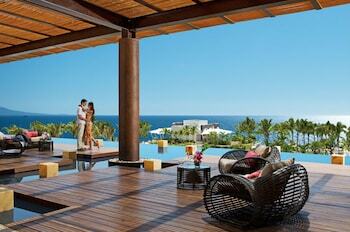 Check out our Puerto Vallarta travel guide! What currency is used in Puerto Vallarta? 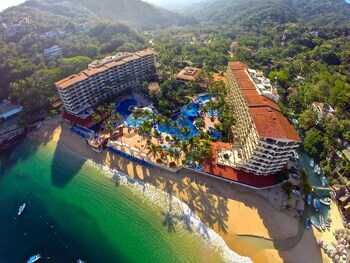 The official currency of Puerto Vallarta is the Mexican peso (MXN); however, U.S. dollars (USD) are also widely accepted. 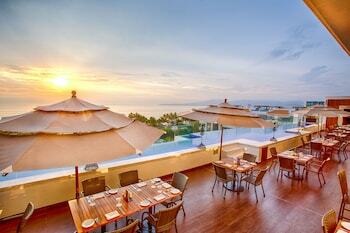 What is the best place to stay in Puerto Vallarta? 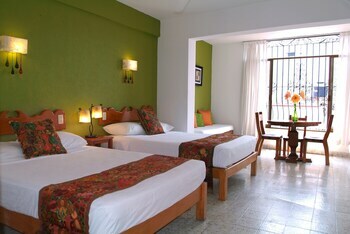 Located less than a mile from the downtown area, theHotel Zone has the best spread of accommodations in Puerto Vallarta. If you’re a budget wanderer, you’ll find the most attractive deals here. After something a little more luxurious? You’ll find that too. 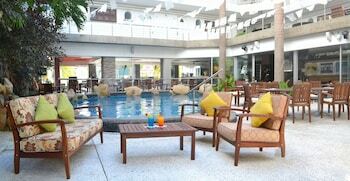 If you want to be where the action is, see what’s available in Centro. 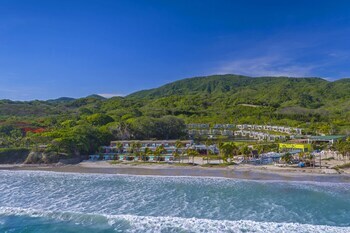 This charming neighborhood has an excellent range of accommodations, stunning beaches and plenty of restaurants and bars. You’ll find it about 3 miles from the downtown area. 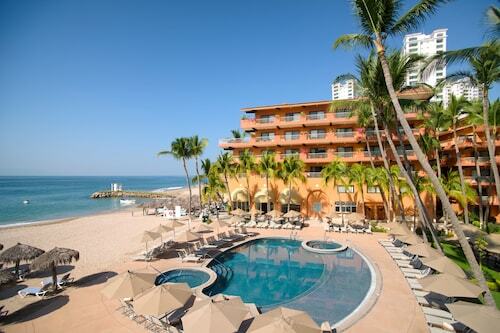 What is Puerto Vallarta famous for? 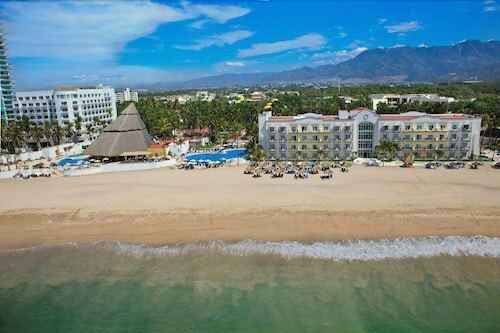 A trip to this resort town wouldn’t be complete without a visit to the Malecon. Eat street food, be entertained by buskers and watch the sun set over the ocean as you stroll along this famous promenade. Come and see the most recognized symbol of Puerto Vallarta, Caballito del Mar, a bronze statue of a child riding a seahorse. Then, listen to the waves gently lapping around you as the boats float by at Los Muertos Pier. 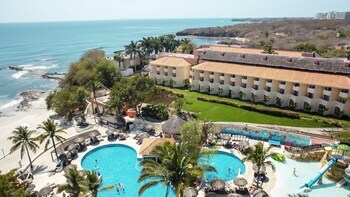 Nestled on the beach, this Conchas Chinas hotel is within 1 mi (2 km) of Conchas Chinas Beach and Playa de los Muertos. 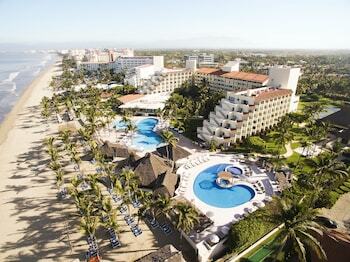 Malecon and Garza Blanca Beach are also within 3 mi (5 km).